It’s no secret that I love a great bag and I’ve been a huge fan of rag & bone for years. So when I saw this great satchel by them I knew it was going to be good! Today I am going hands free and carrying their new Pilot Satchel. I’ve been on a hunt for a bag that could carry everything I needed but was also minimal and sleek. I am always on the go and need to carry my iPad around with me for work and until now I’ve been carrying it in a clumsy tote…always having to set it down when I needed to use both hands. This last week I’ve been in hands free heaven and totally loving it! 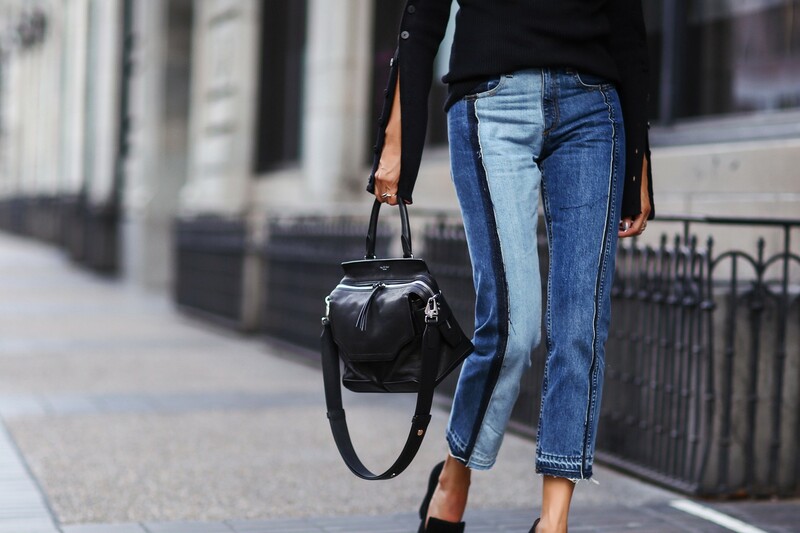 True to rag & bone’s signature quality and style this bag will not disappoint. I also love that it comes with a top handle and can be carried that way too! Love a versatile piece! I can’t let this post go by without talking about these jeans too! I was browsing at rag & bone in Soho when I was in NYC for Fashion Week and these jeans literally stopped me in my tracks. They are so on trend and just plain cool! 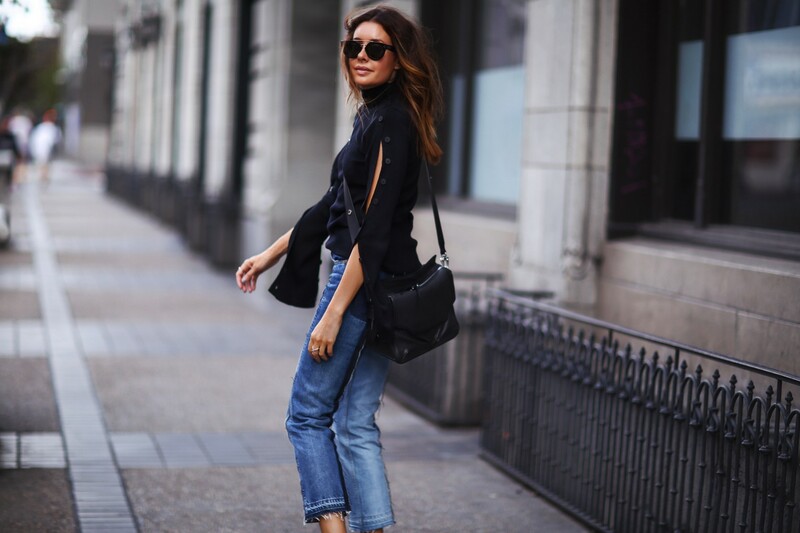 Love those jeans and that bag! This bag look so cute and versatile! Loving the jeans too, although I don’t think I’m cool enough to pull them off, haha. I am eyeing this top though…it’s so pretty and would be great for Fall here in Texas! The satchel looks amazing! Totally in love with those jeans too!